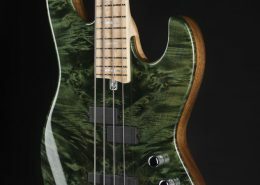 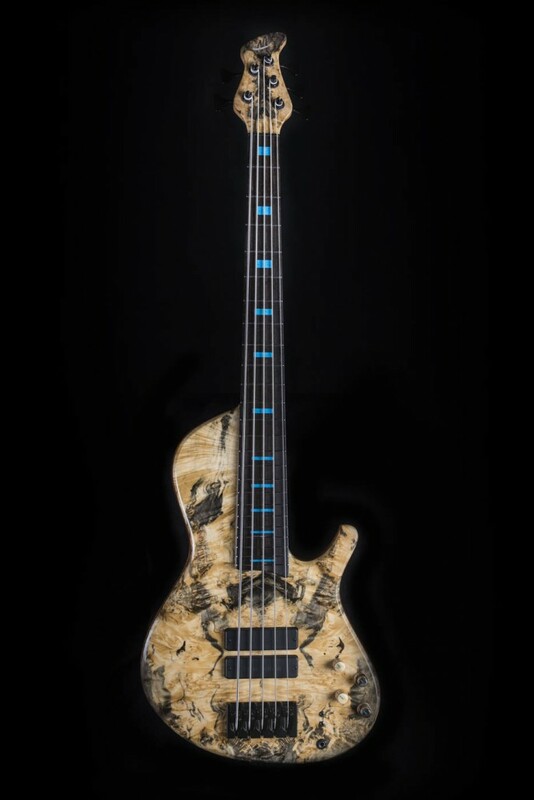 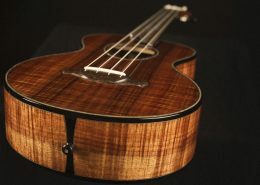 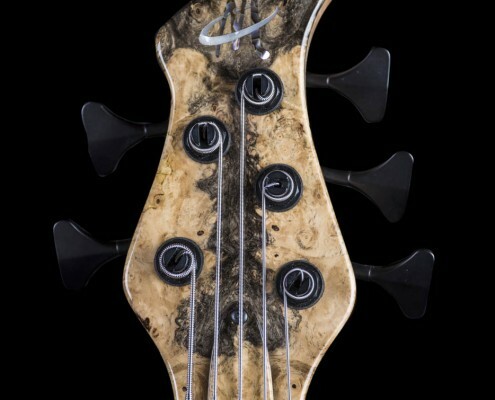 This is an Expression Single Cut model bass which has been customised for wood choices, pickup placement and control layout. 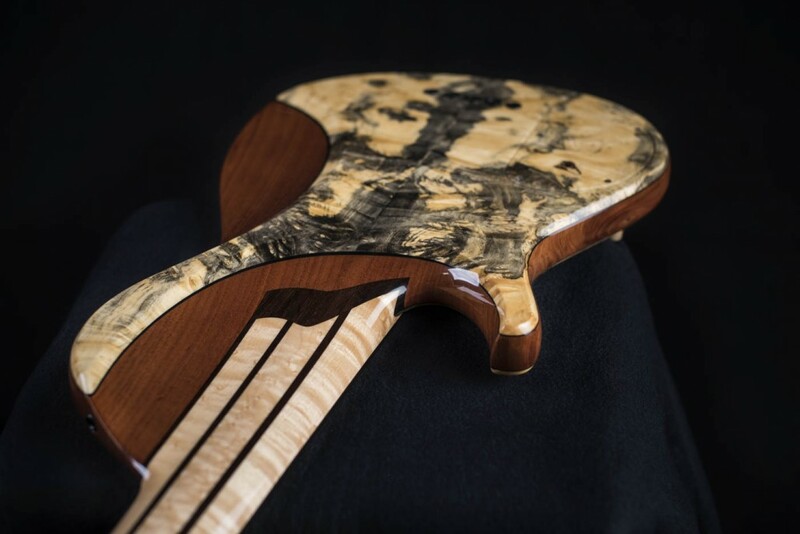 Another important feature specified by the client was to keep the weight as low as possible. 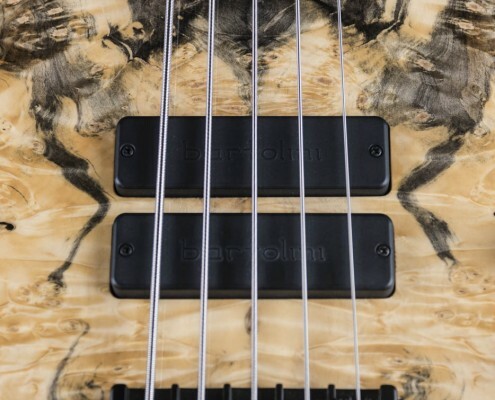 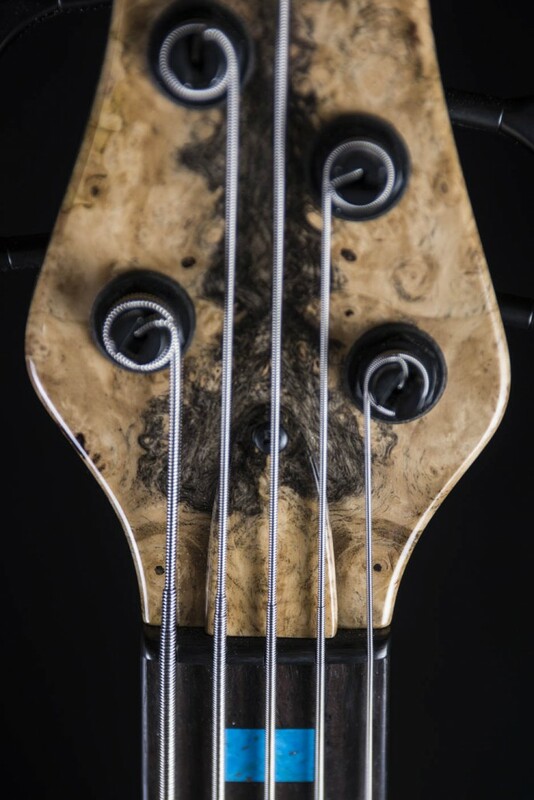 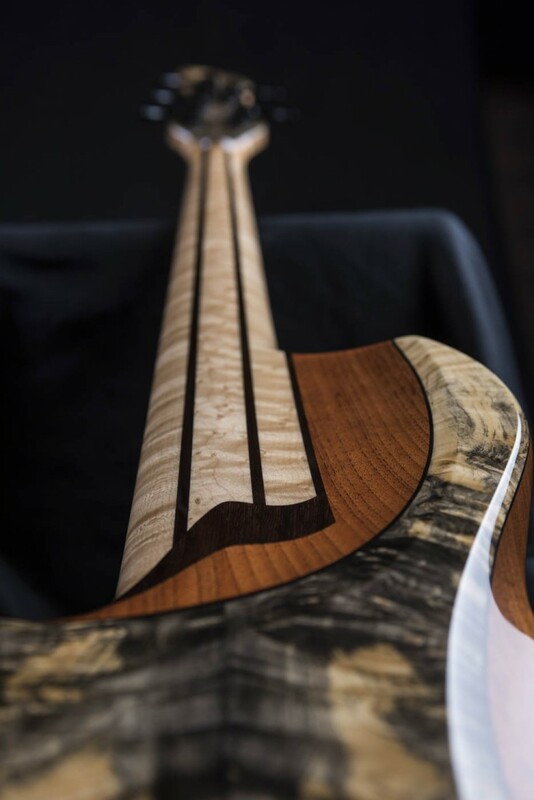 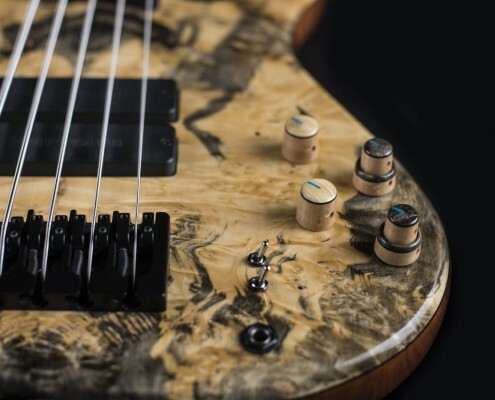 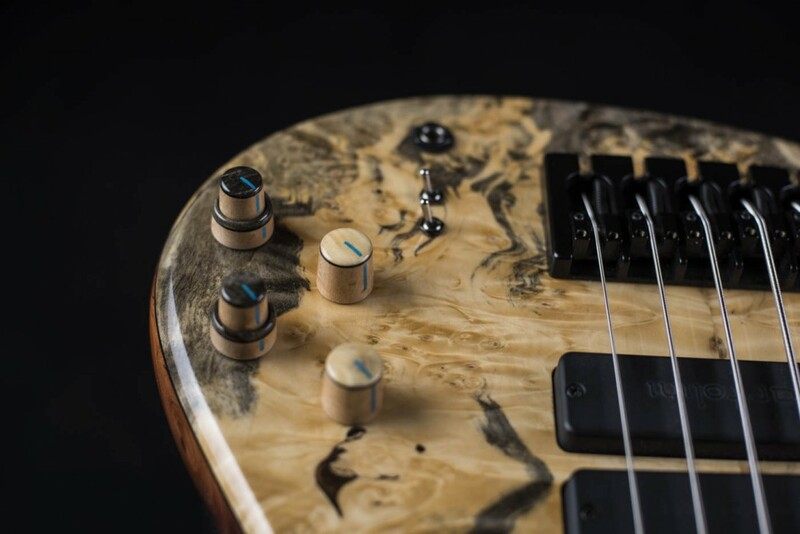 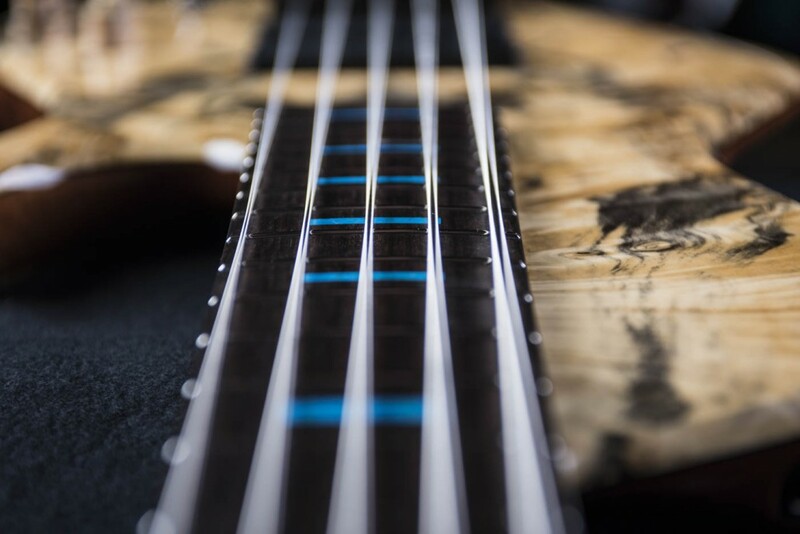 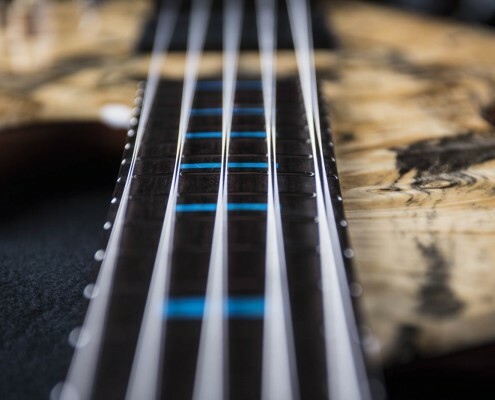 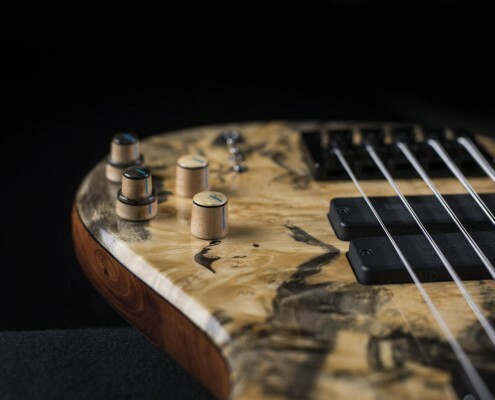 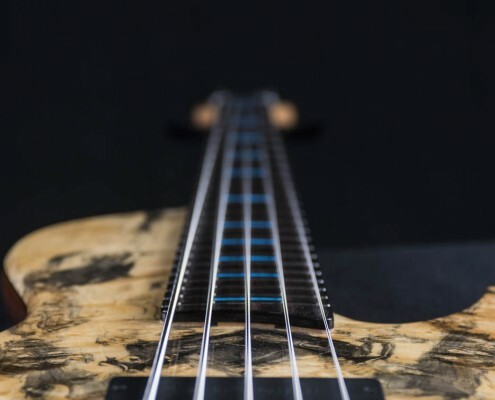 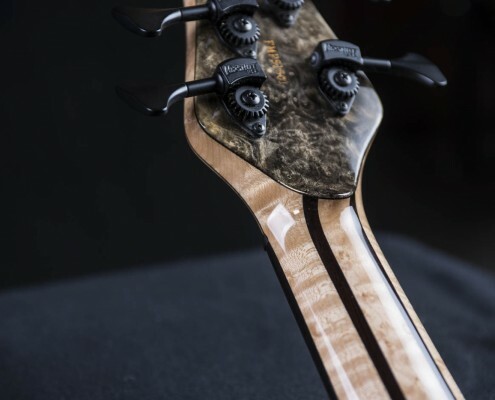 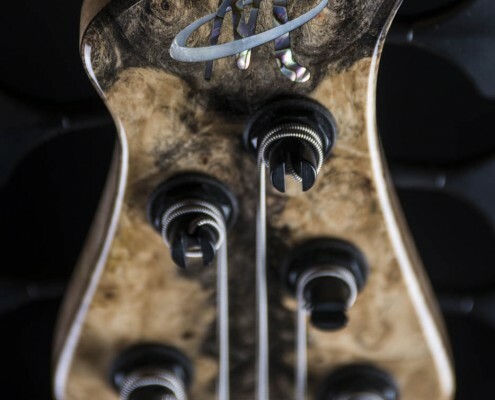 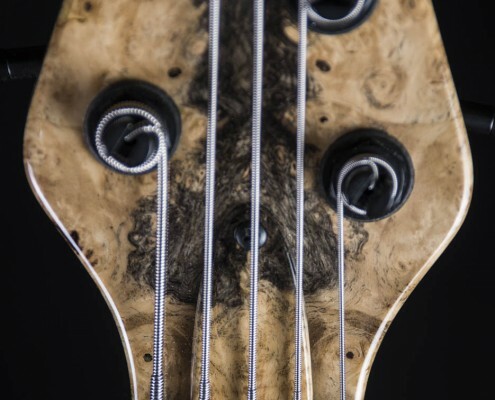 Woods, other materials and construction method were maximised to deliver on weight without compromising the basses sonic qualities – attack, clarity and sustain. 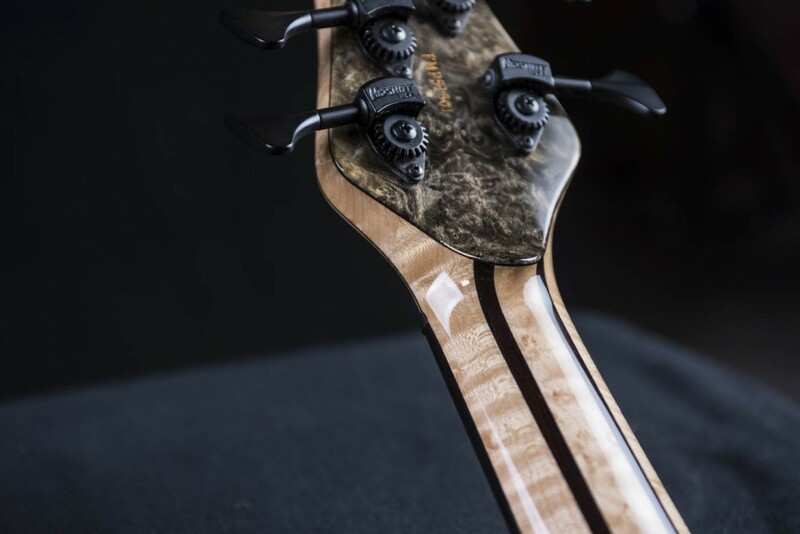 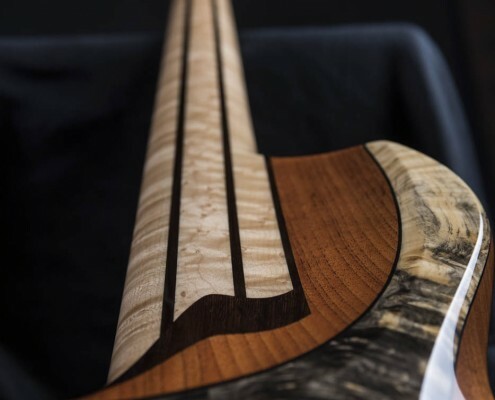 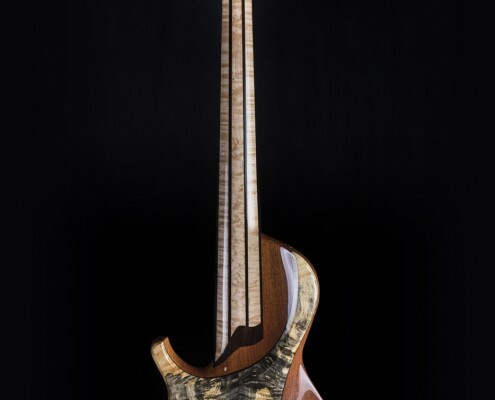 Neck: Figured Maple/Wenge with proprietary carbon internal beams and titanium light weight truss rod option. 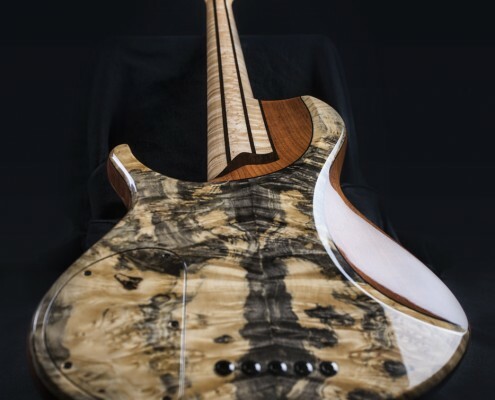 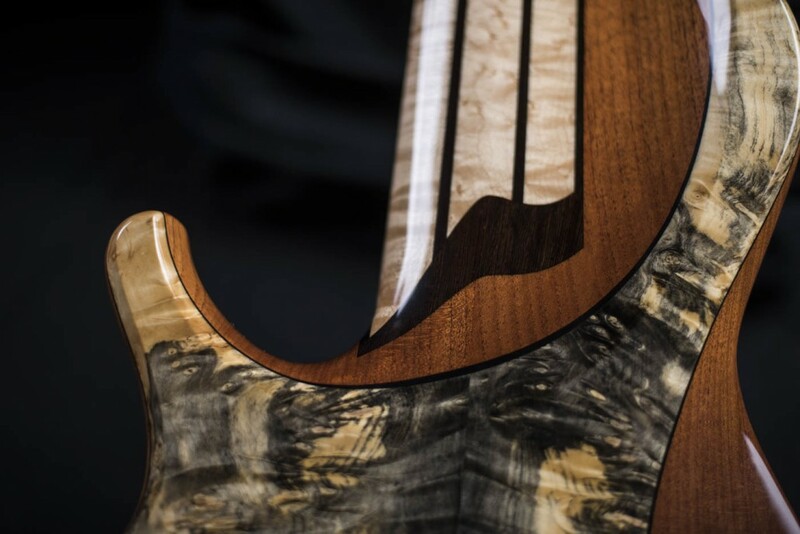 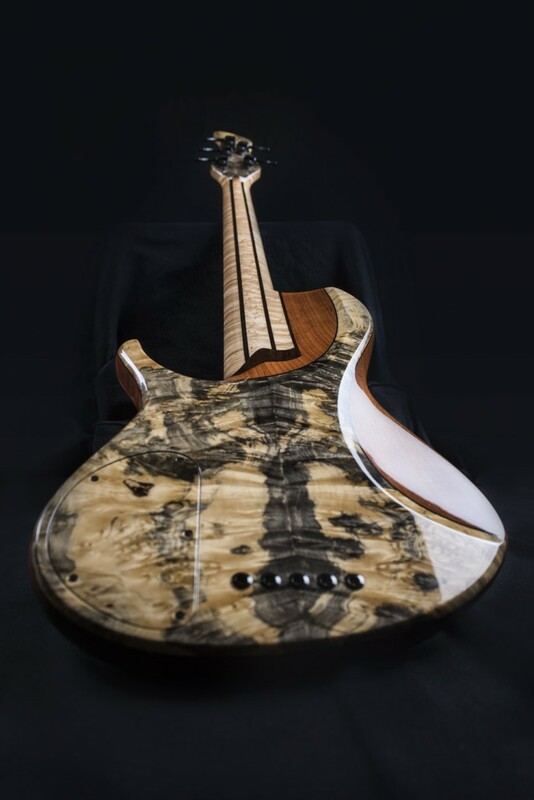 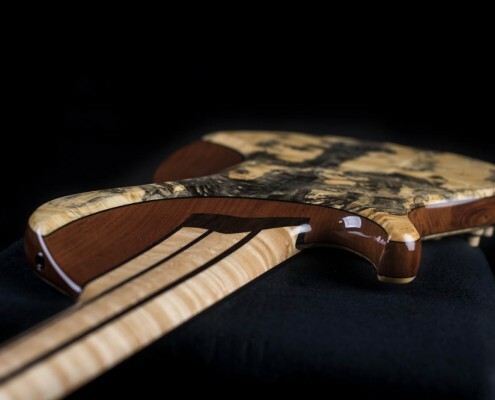 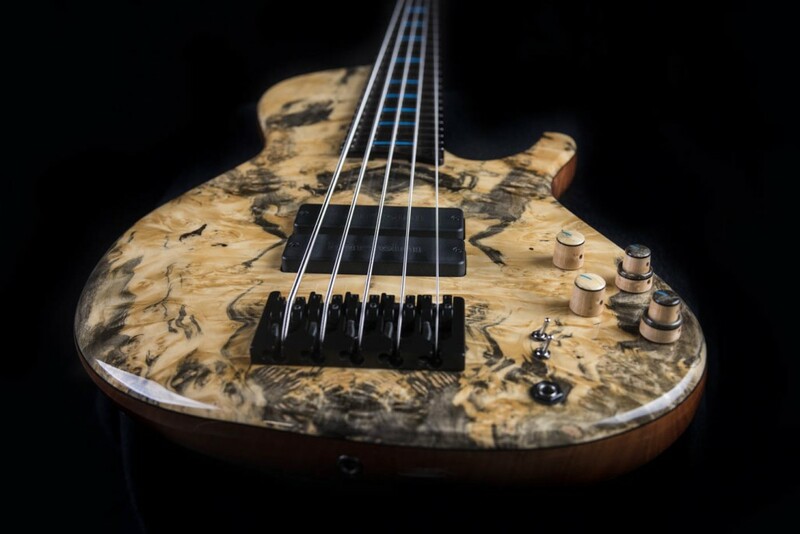 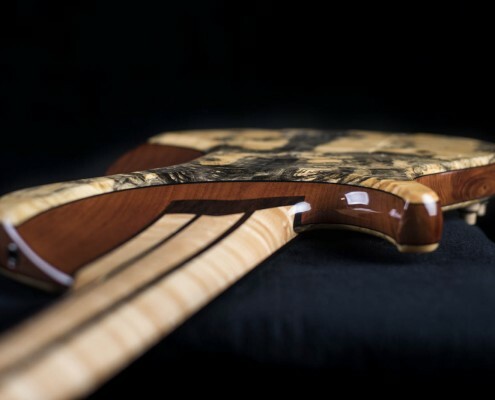 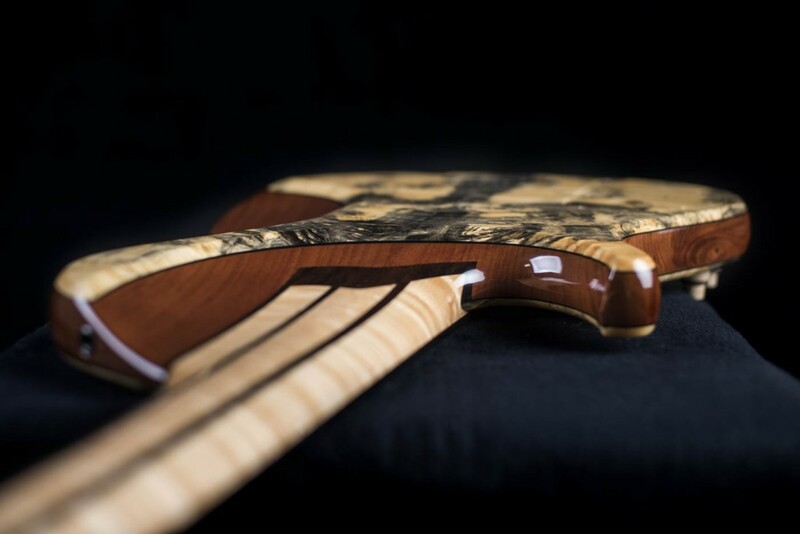 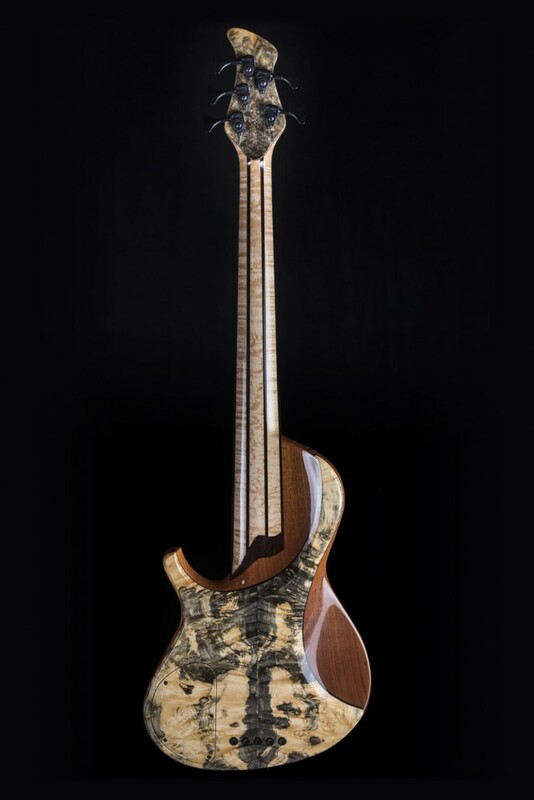 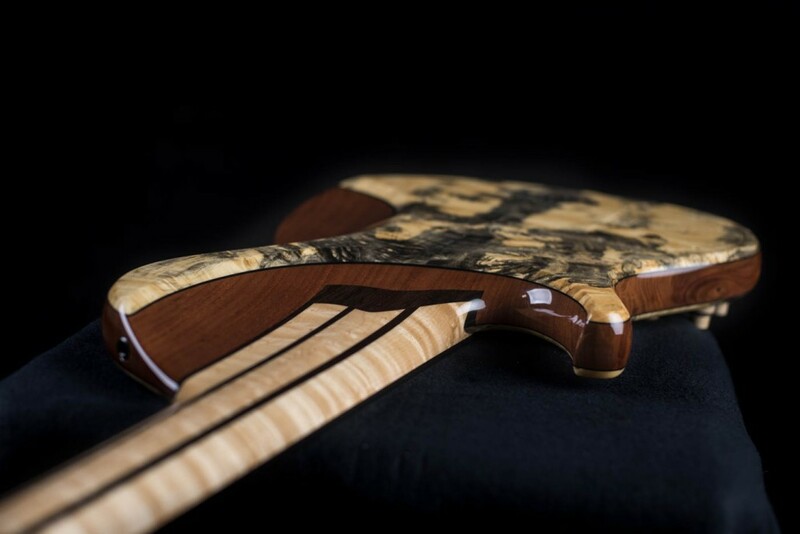 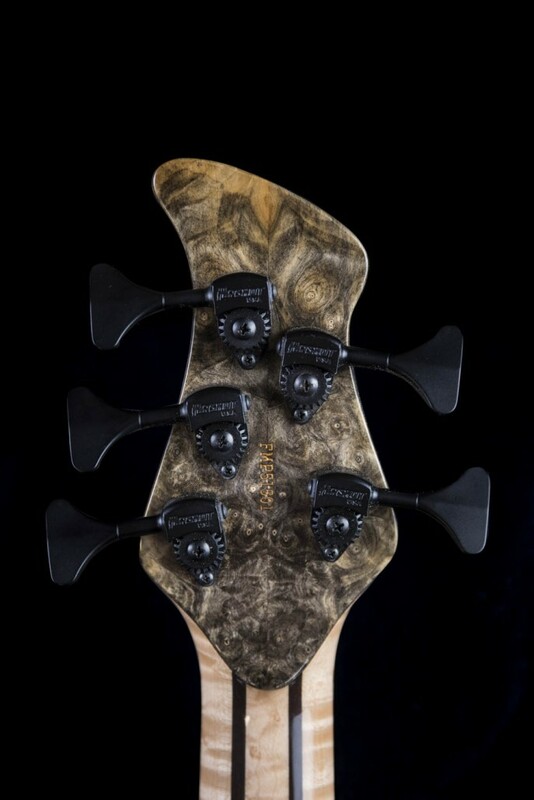 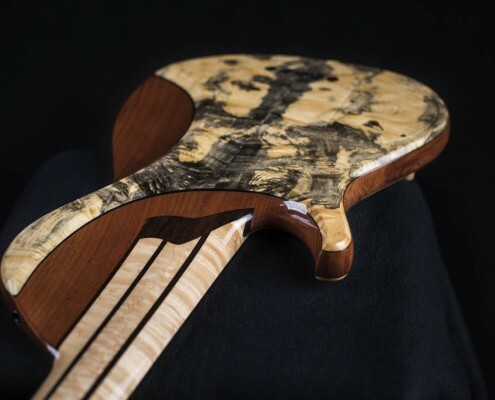 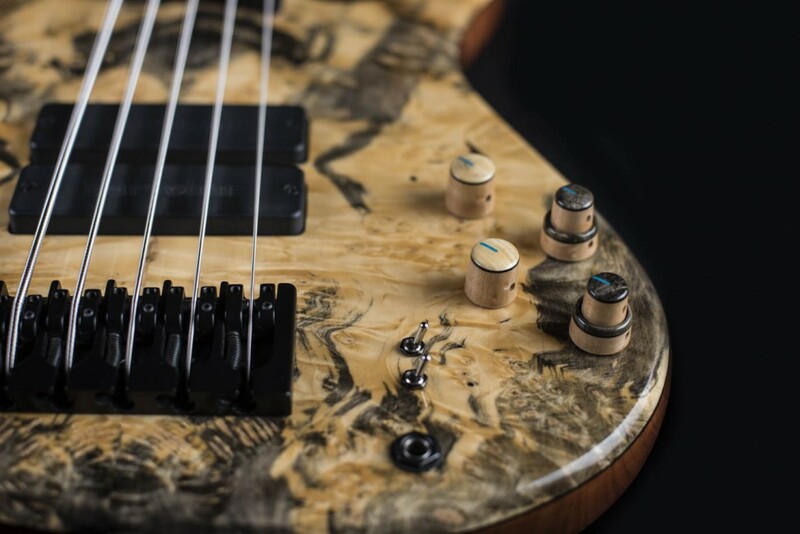 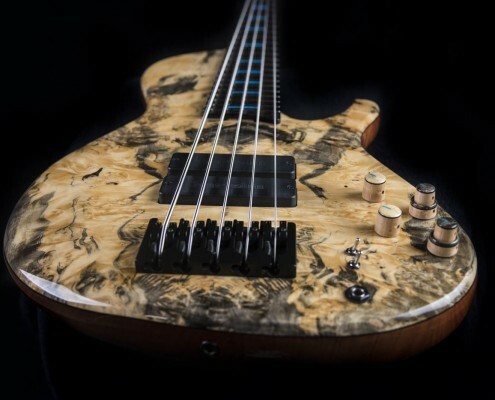 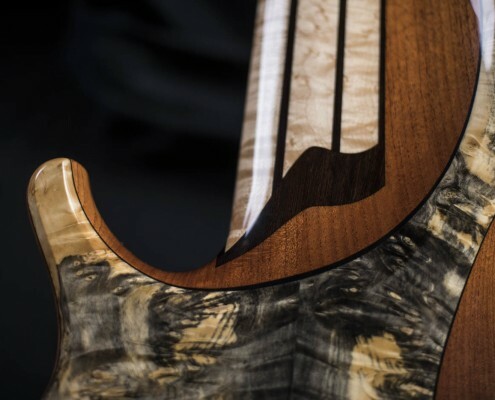 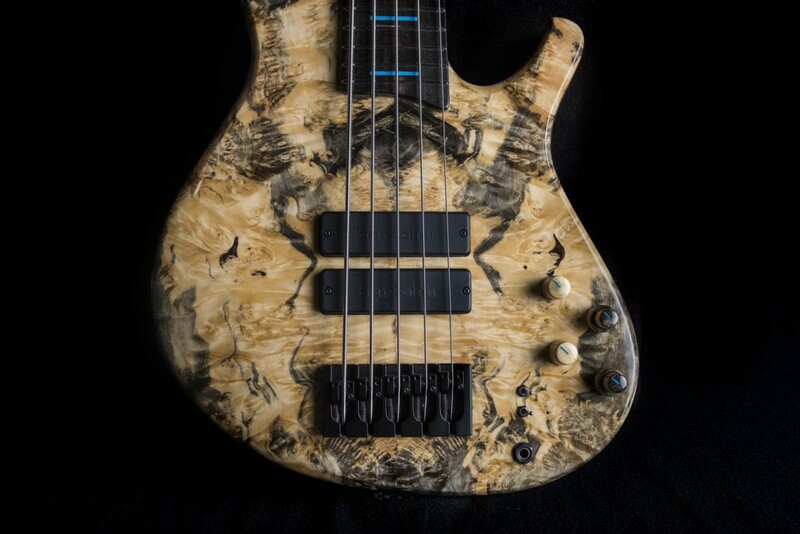 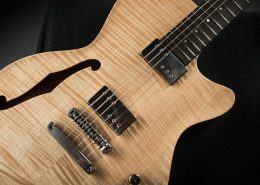 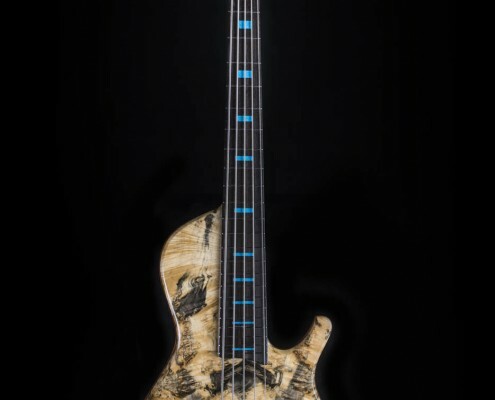 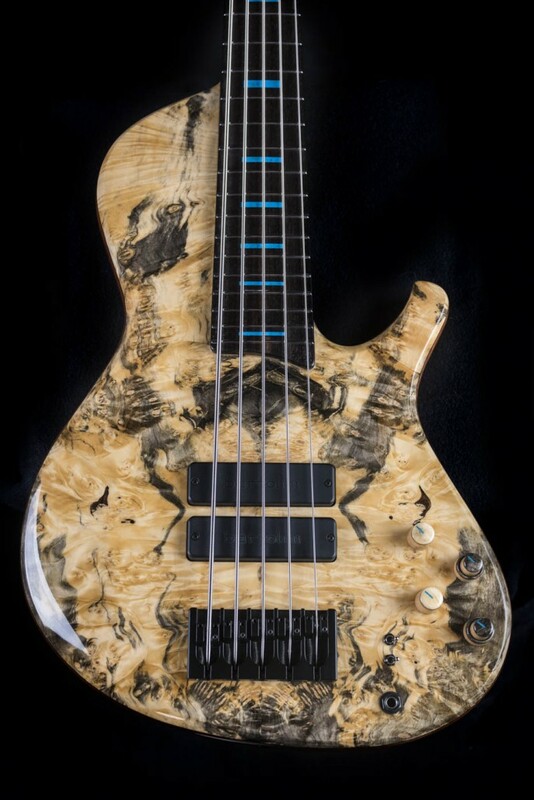 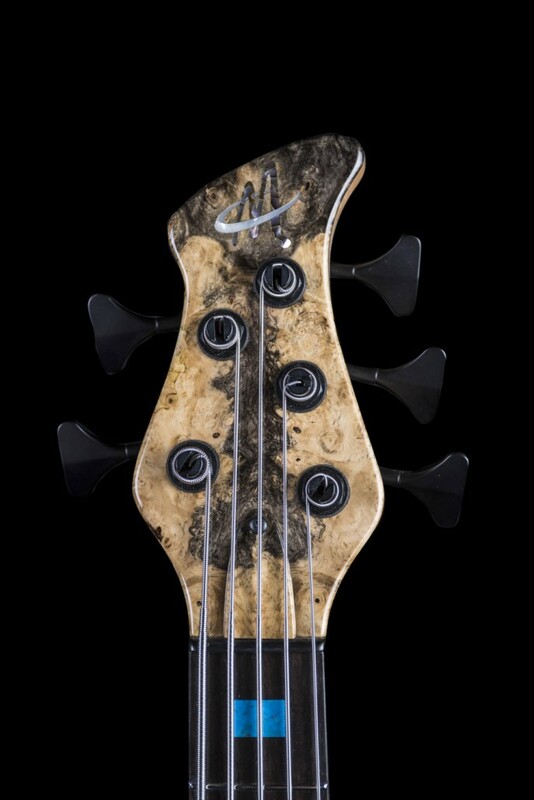 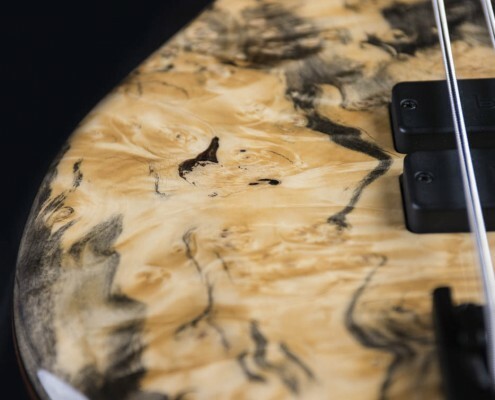 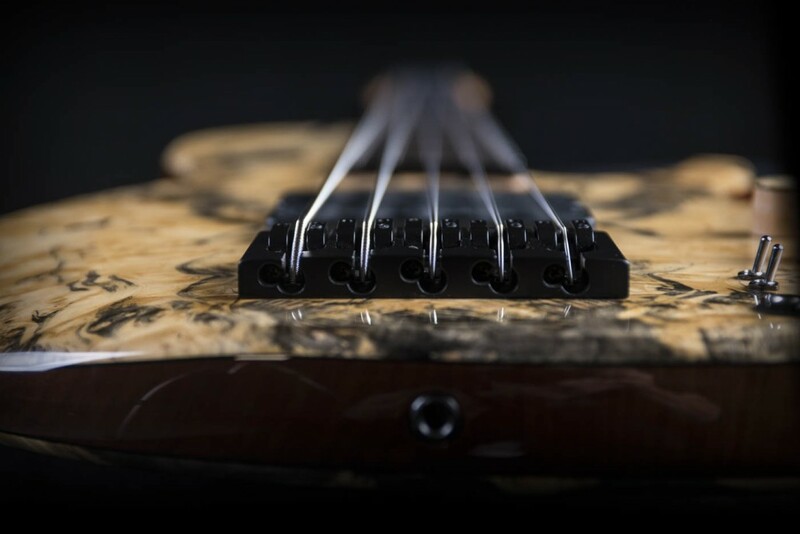 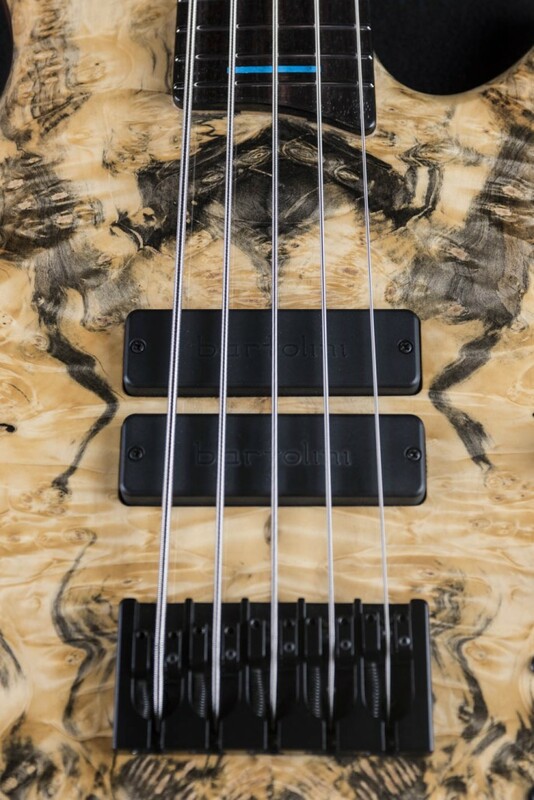 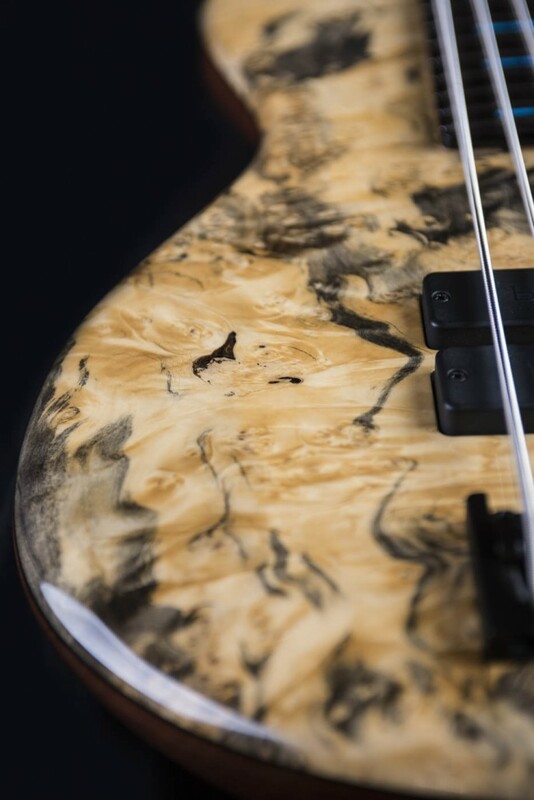 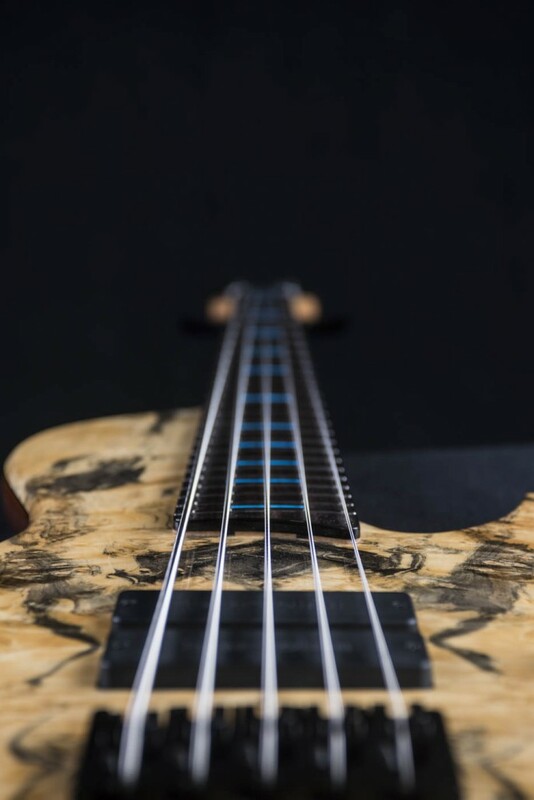 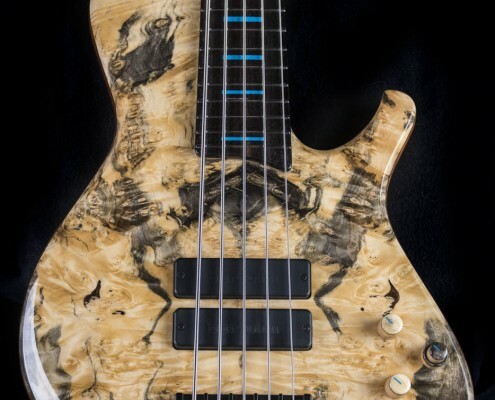 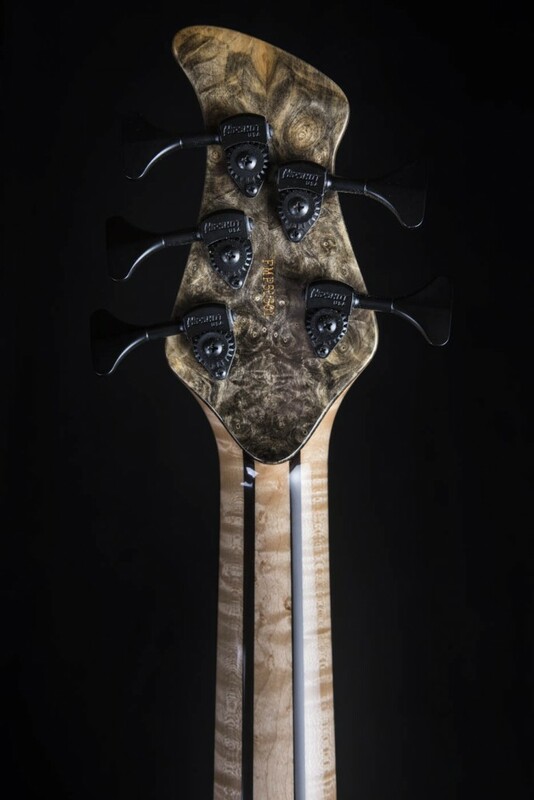 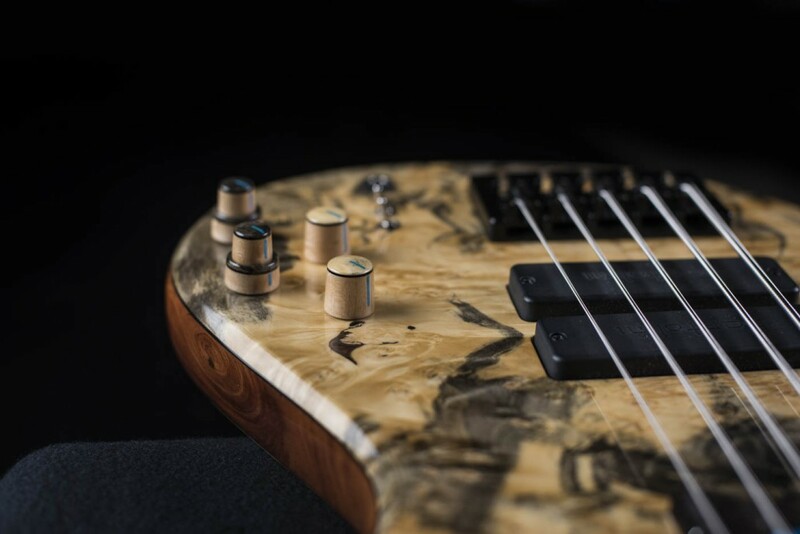 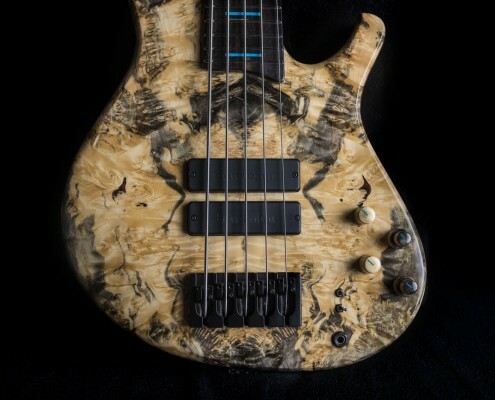 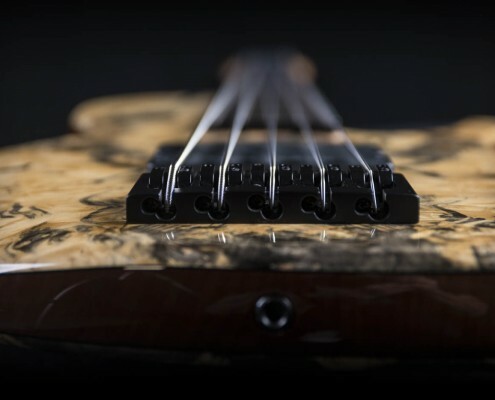 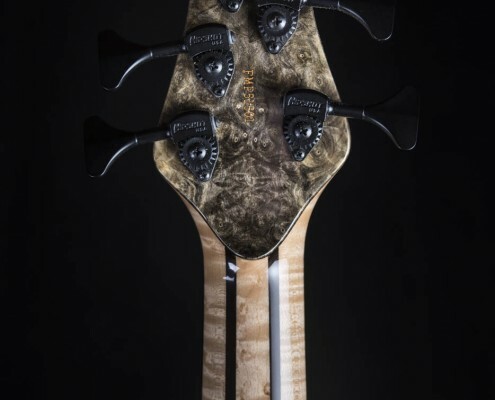 Body: Buckeye Burl front & rear cap/Australian Cedar body core with Buckeye Burl front bent over arm curve. 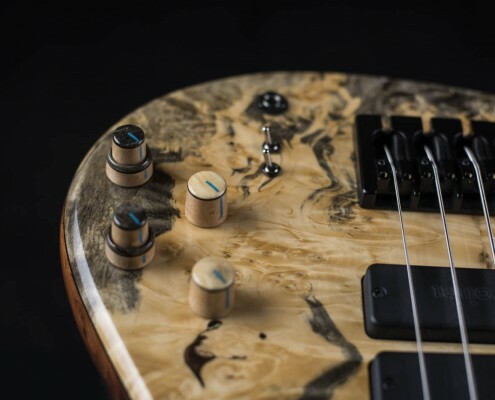 Control Knobs: Hand made maple/matching Buckeye Burl with matching turquoise position inlays. 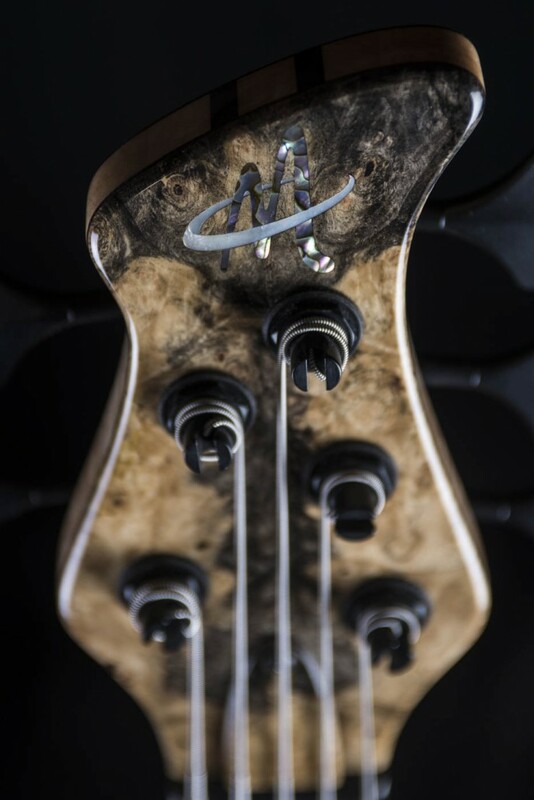 Electronics: Audere Audio ProZ 4 band EQ with programmable 3 way Z load switch. 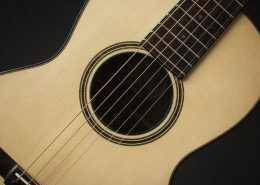 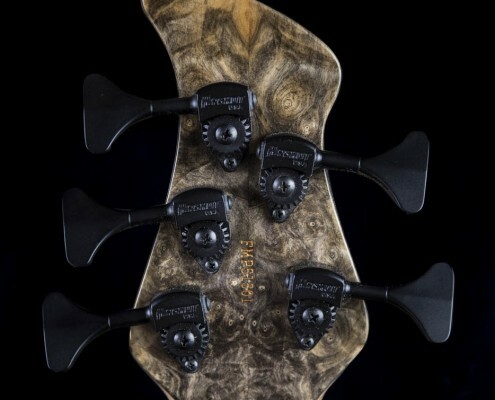 Hardware: Hipshot Ultralite tuners and Style A Bridge.